A quick detour after the Luray caverns (you can read more about it here) , on our way to Richmond where we were to spend the night, led us to the beautiful city of Charlottesville- home to two American Presidents Thomas Jefferson and James Monroe. Monticello- Jefferson’s mountain top home or mansion is a UNESCO World Heritage Site situated a few miles away, attracting numerous visitors all year round. We passed a campus of the historically prominent University of Virginia whilst driving into town. Though the Commonwealth of Virginia was a prominent part of the Confederate States of America during the American Civil War (read more about it here), Charlottesville escaped the brunt of the Civil War. An interesting tidbit of information is that, it was illegal for African American to have their own churches, until the first black church in Charlottesville was finally established in 1864. Did you know- that Charlottesville is the home base for the Dave Matthews Band? I didn’t, so it got even more interesting! After driving through town, we drove up to Monticello and then headed to the University of Virginia (established by President Jefferson in 1819), set on an expanse of original farmland and known for being one of the original Public Ivies. Darden has always been enticing, and there it stood majestically right in front of me- narrating stories from the past. 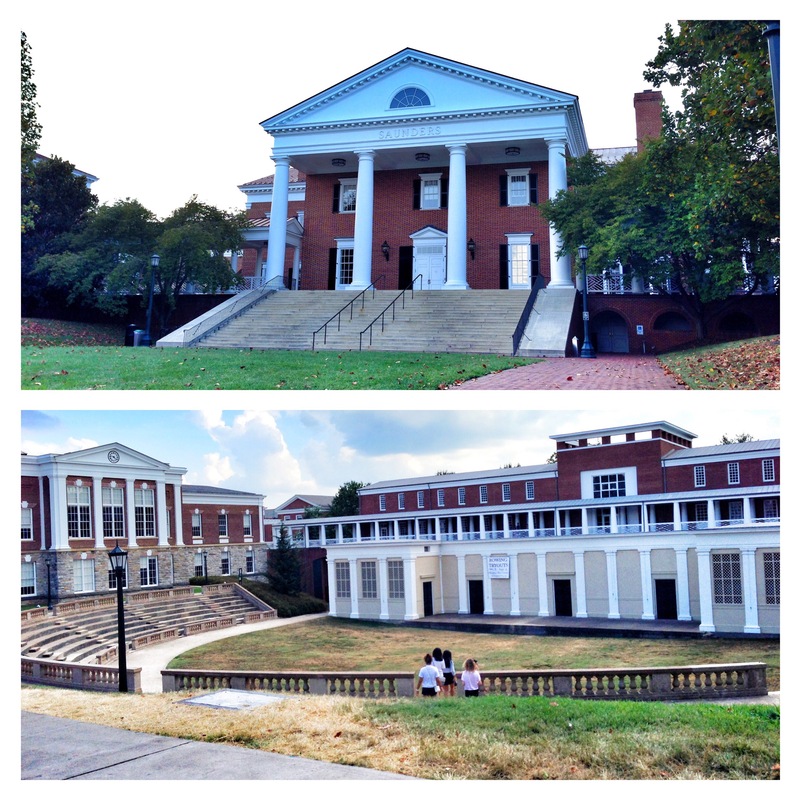 The UVA Campus (Top-Darden School of Business). Charlottesville is a great town and Monticello is one of my favorite places. I fell in love with it- the culture n the beauty!